What Is a Bar Mitzvah or Bat Mitzvah? Part of the covenant into which every Jew enters, during their brit milah or baby naming shortly after their birth, is the responsibility for fulfilling all of the commandments or mitzvot that are described in the Torah. Since infants and young children are neither physically nor intellectually equipped to do so, the parents of the child take on these responsibilities on their child’s behalf until the child reaches the age that they are capable of doing so for themselves. 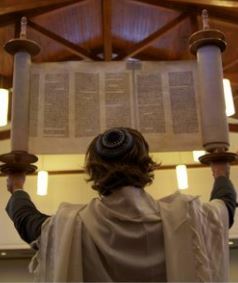 The terms ‘Bar Mitzvah’ (“son of the commandment”) and ‘Bat Mitzvah’ (“daughter of the commandment”) refer specifically to the rite of passage where Jewish children reach the age when they take over from their parents the responsibility of fulfilling the commandments, the mitzvot. 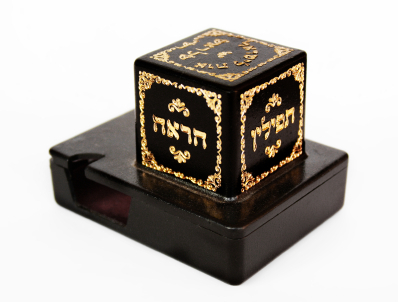 With or without a ceremony, one automatically becomes responsible for fulfilling the mitzvot when they come of age. As such, a child is therefore not “Bar/Bat Mitzvahed,” and one does not “have a Bar/Bat Mitzvah.” Rather, the child becomes a Bar/Bat Mitzvah. The plural term is ‘B’nai Mitzvah’, which refers to more than one Bar/Bat Mitzvah child of either gender. While no formal ceremony is necessary for a person to become a Bar/Bat Mitzvah, it is customary to mark this turning point in the life of a Jewish child with a religious ceremony. This provides the Bar/Bat Mitzvah with an opportunity to exercise their new rights as full members of the Jewish community by receiving their very first aliyah, and often as well by reading from the Torah and Haftarah, and leading the congregation in several prayers. Please do not place prayer books or bibles on the floor. 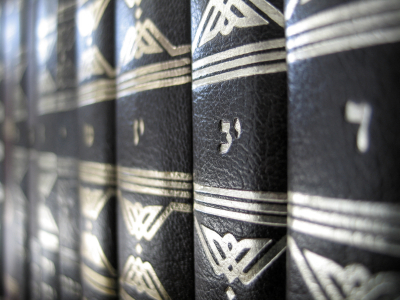 They are sacred texts. Do not applaud after Haftarah or speeches. Applause is inappropriate during services. While there is clapping when we sing or pray, it is not appropriate to applaud on the Sabbath. Tallit and head coverings are provided in the lobby. All men must wear a head covering upon entering the Synagogue. Jewish men of Bar Mitzvah age are obligated to wear a tallit. Jewish women are encouraged to wear a tallit in our Synagogue. Cameras, cell phones, beepers, tape recorders, gaming devices, .mp3 players and all other electronic devices are strictly forbidden in the Sanctuary or Synagogue area on the Sabbath. The chewing of gum is not permitted in the Sanctuary. Guests are expected to dress in a manner appropriate for synagogue services. Women should refrain from wearing low cut, sleeveless, strapless or backless dresses or blouses, bare midriffs and short skirts.